This beautifully crafted bolo tie is easily adjustable to wear either as a long necklace or high at the collar to replace the traditional tie. A rockabilly classic, this is the perfect piece of Steph Lusted Jewellery to be worn by both sexes. 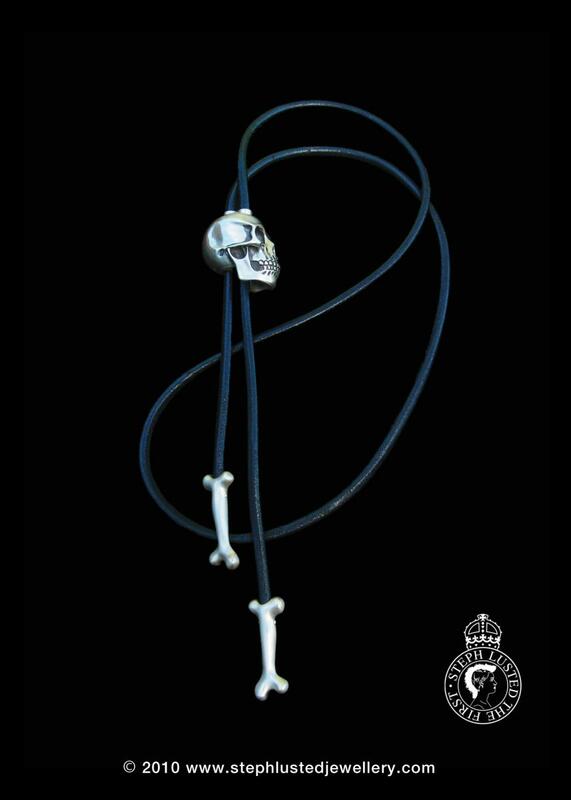 Made from sterling silver, this chunky silver skull and stylised bones adorn the finest quality leather cord. Available with a Steph Lusted Jewellery satin finish. 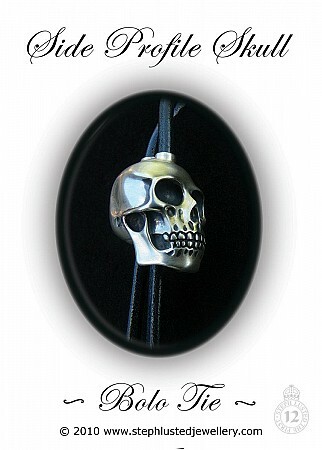 Includes a Special addition Steph Lusted Jewellery 'Till death do us part' printed jewellery pouch.